For young children in particular, eye allergies can lead to a lot of distress, causing parents frustration and anxiety. In the best case scenario, symptoms may be mild and disappear quickly, while in more serious cases, vision is distorted and irritation can last for days. Our article today tells you everything you need to know about eye allergies in children, and the treatment options you have to minimise their discomfort. 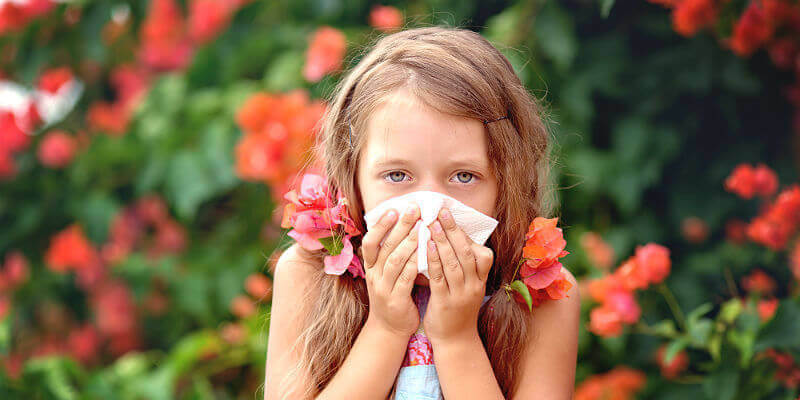 Children generally become susceptible to allergies through either genetic or environmental factors. Up to 40% of all children experience hay fever, with many more suffering because of another allergy trigger. There is also evidence to show that children in urban areas with more pollution have a higher incidence of allergies than those in rural regions. In addition, foods like nuts or dairy products can cause severe allergic symptoms. Animal hair is also a problem for some children. 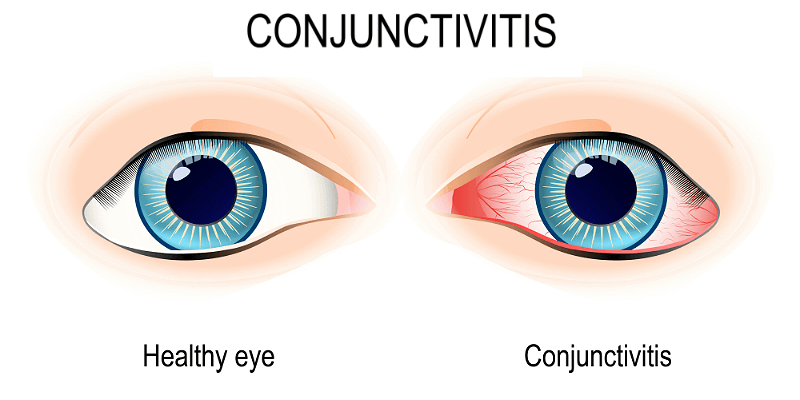 Vernal conjunctivitis is a common reaction that usually affects boys who already suffer from asthma or eczema (up to 75% have either condition). Most of these boys have a family history of allergies, and usually experience flare-ups in the spring and summer months, which can lead to a long-term swelling of the tissues that line the eyes. All allergic reactions can lead to inflammation of the eye area, so the first step for any parent should be to try and identify the cause of the allergy and to spot any symptoms early. Regardless of the initial trigger, all eye allergies follow a similar pattern, although the severity and duration of distress can vary. When left untreated, blurred vision can result due to extreme inflammation caused by the allergy. This inability to see clearly, and the accompanying effects on the immune system may make life very unpleasant until treatment is sought. A true allergy will have numerous other indicators such as nasal congestion, coughing, sneezing, and even a shortness of breath. Problems with contact lenses can sometimes mimic the eye irritation seen in allergic situations, but are generally caused by a lack of contact lens cleaning, or issues with the lenses themselves. If eye irritation without other allergic signs is present, book a check-up with your optometrist. Removing the source of the allergy is the only way to permanently resolve the situation, and while in some instances this is possible, in others it is not. Once allergies develop, they may have to be tolerated for a period of time, especially if the trigger is animal hair or airborne containments like pollen. Luckily, anti-histamine tablets have a good record of reducing symptoms to a manageable level for most people, although in certain situations anti-allergy injections may be required instead. If the suspected allergy trigger is something that has been handled by the child, be sure to wash their hands, face, and clothes thoroughly to remove the remaining particles (even the smallest amount will cause a reaction). Also, wearing glasses or sunglasses will protect the eyes against any dust, mould, or pollen spores, reducing the likelihood of another allergic episode. If rinsing the eyes with cold water does not help to resolve the problem, allergy eye drops may be needed. These wash contaminants out of the eyes, minimising any inflammation. For children who suffer greatly with allergies, moving to a more rural area lessens the environmental pollution burden on their immune system and may help guard against more allergies developing. If you are planning to have further children, a recent study has shown that higher sugar intakes during pregnancy are linked with increased allergies in offspring.